Boston Scientific has obtained CE Mark approval in Europe for its WallFlex esophageal fully covered stent, indicated for the treatment of refractory benign esophageal strictures. The WallFlex esophageal fully covered stent features Permalume silicone coating, Teflon coated polyester suture and Nitinol wire braided construction. Permalume silicone coating is designed to prevent tumor in-growth, seal concurrent esophageal fistulas and help reduce food impaction. Teflon coated polyester suture enables removal from refractory benign strictures for up to eight weeks. Nitinol construction allows the WallFlex esophageal stent to provide luminal patency in the presence of strictures or tumors. The WallFlex stent is designed for gradual expansion, typically complete after 24-72 hours. The device provides physicians with clear visualization during fluoroscopy, aiding in accurate placement. The progressive step flared ends assist in anchoring the stent within the esophageal lumen. Boston Scientific Endoscopy president David Pierce noted building on the best of the company’s industry-leading stents, the expanded indication for the WallFlex esophageal fully covered stent demonstrates its commitment to physician needs and dedication to improving patient outcomes. "This enables physicians in the European Union to provide additional options for the treatment and management of patients suffering from benign esophageal strictures," Pierce added. 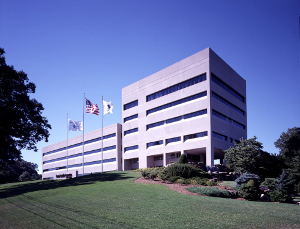 Previously, Boston Scientific obtained the US Food and Drug Administration and CE Mark approvals for its both fully covered and partially covered WallFlex esophageal stents for the palliative treatment of malignant esophageal strictures. These stents are not approved for removal from malignant strictures and are not approved in the US for the treatment of refractory benign esophageal strictures.